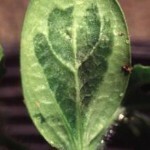 Infected seedlings initially develop water‑soaking on the lower surface of cotyledons and leaves (Image 3). 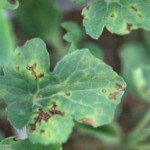 These areas then become necrotic (Image 4). 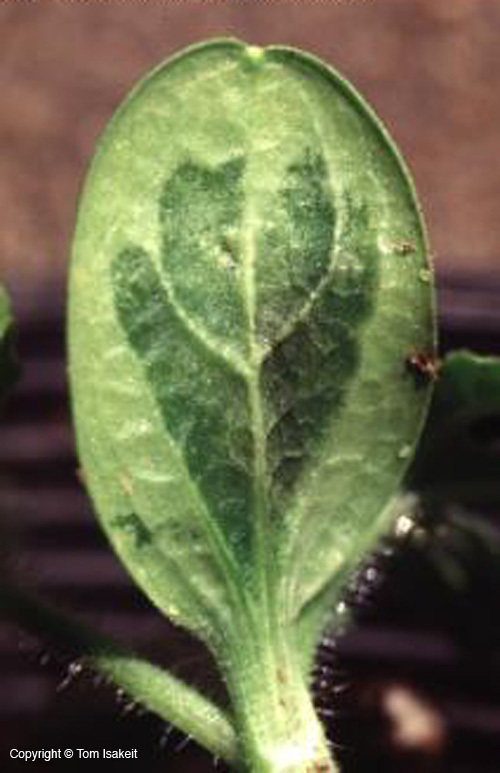 The pathogen can also cause non-distinctive, necrotic leafspots on transplants (Image 5). 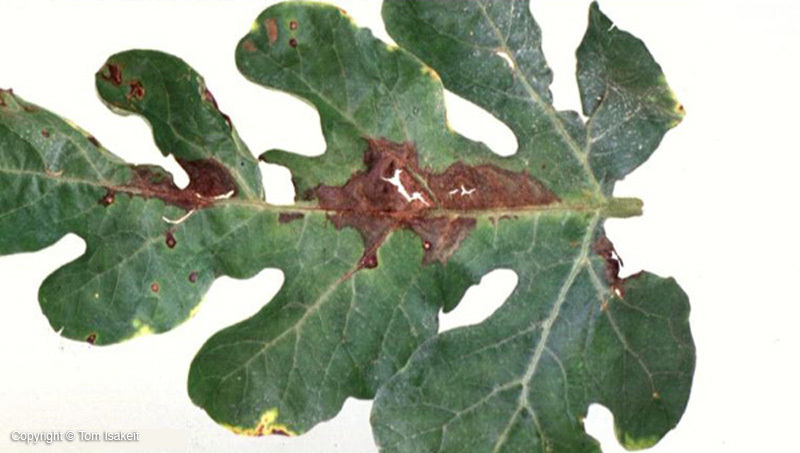 On leaves of more mature plants, the pathogen can cause large, circular brown lesions, usually near the edge of the leaf, but this is not reliable for diagnosis. 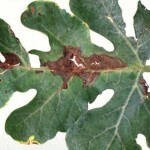 The unique symptoms are: irregular, rust-colored lesions that run along leaf ribs (Image 1), while on the underside of the leaf, the leaf rib is water-soaked (Image 2). 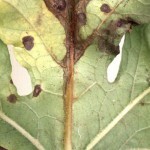 Leaf lesions can serve as a source of bacteria that can infect fruit. 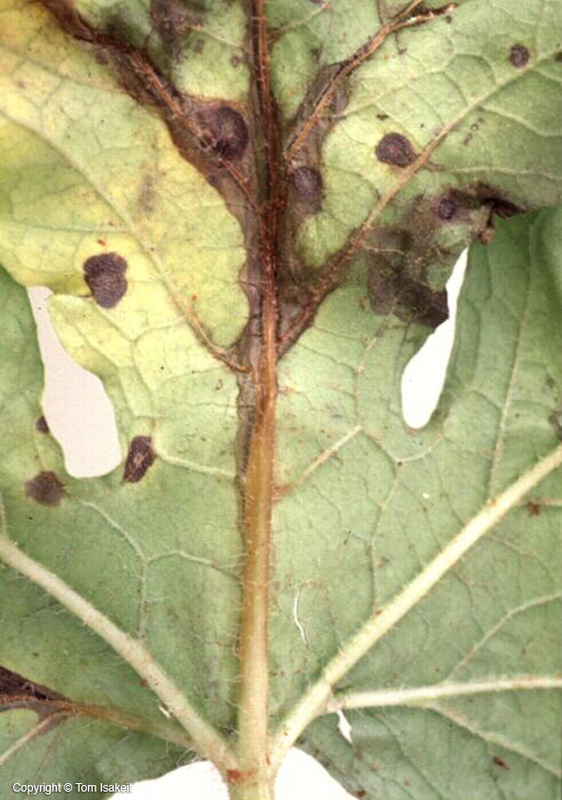 In the field, leaf lesions are often difficult to find and may be confused with lesions caused by pathogenic fungi. 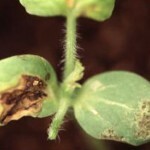 Where this disease has occurred, watermelons and other cucurbit crops should not be replanted in the field for at least one season, crop debris should be plowed under, and volunteer plants destroyed. 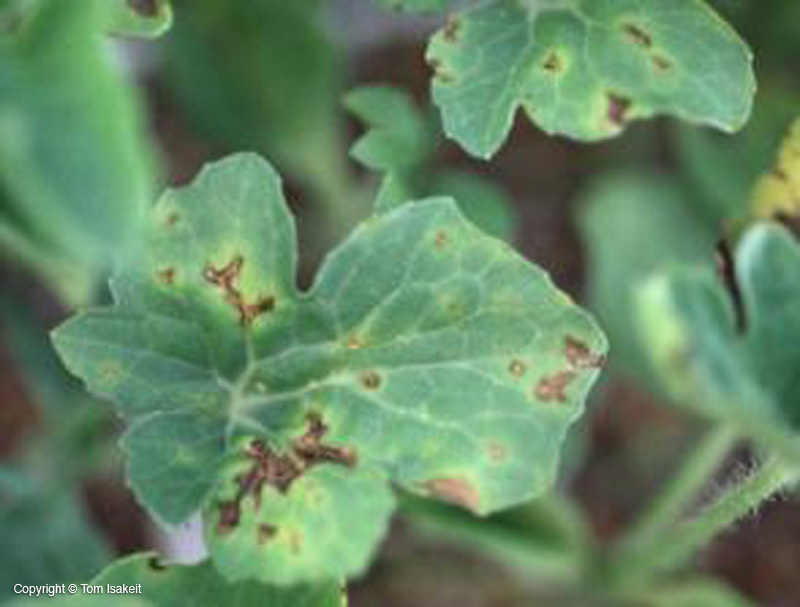 Cucurbit weeds such as citron melon should also be controlled. 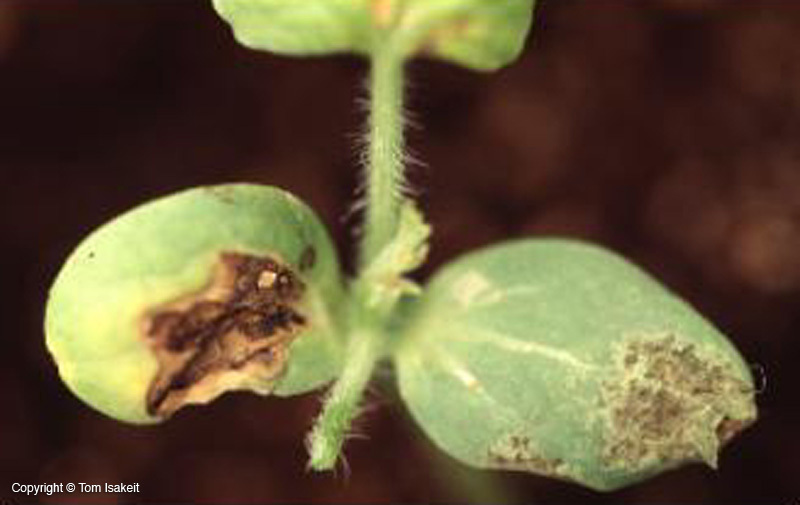 Copper‑based fungicides should be applied on a regular schedule at the time of flowering or earlier, if transplants are used.